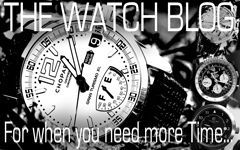 Thew NEW MINI is here. We at Beastie Folly basically like it. 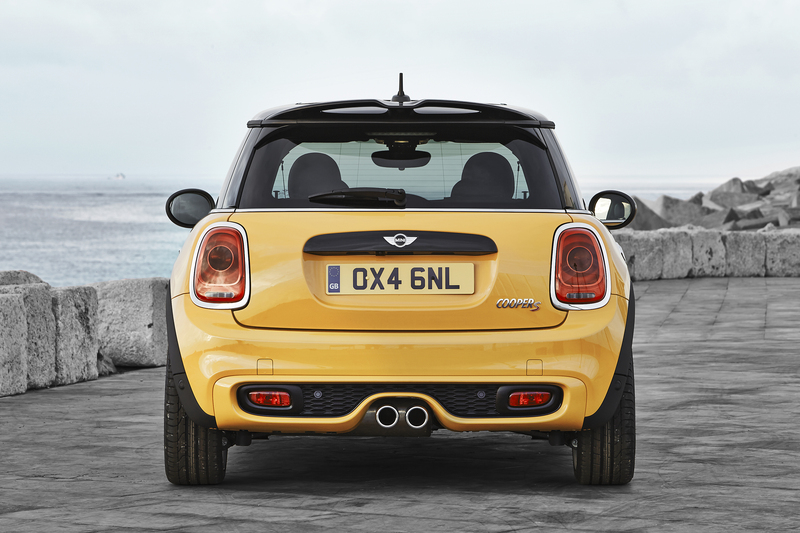 The front overhang in front of the tyres looks very un-MINI like, but apart from that it’s all good. • New edition of the premium small car segment original; new MINI with hallmark emotional design, further optimised balance between driving fun and fuel consumption, innovative networking technology and clever functionality; significant advances in the areas of spatial comfort, safety, equipment, quality of material and finish as well as sporty flair and ride comfort as the result of consistently and extensively refined product substance; new model generation now more than ever before the benchmark for driving fun, premium quality and individual flair within its competitive environment. • Exterior design refined on an evolutionary basis with hallmark styling, proportions and body structure; characteristic design features such as hexagonal radiator grille, headlamps and rear light clusters with wide chrome surround, turn indicator element and peripheral body surround in black reinterpreted and given additional emphasis due to the surface design in each specific area; high-end details underscore the sophisticated nature of the new model; five exterior paint finishes, roof in contrasting colour available as an option at no extra charge. • Newly designed headlamps; daytime driving light; optional: LED headlamps including daytime driving ring with integrated direction indicator, adaptive light distribution and LED fog lamps; rear lights also optionally available in LED technology, optional lighting package with LED interior lights and orange-coloured ambient lighting. 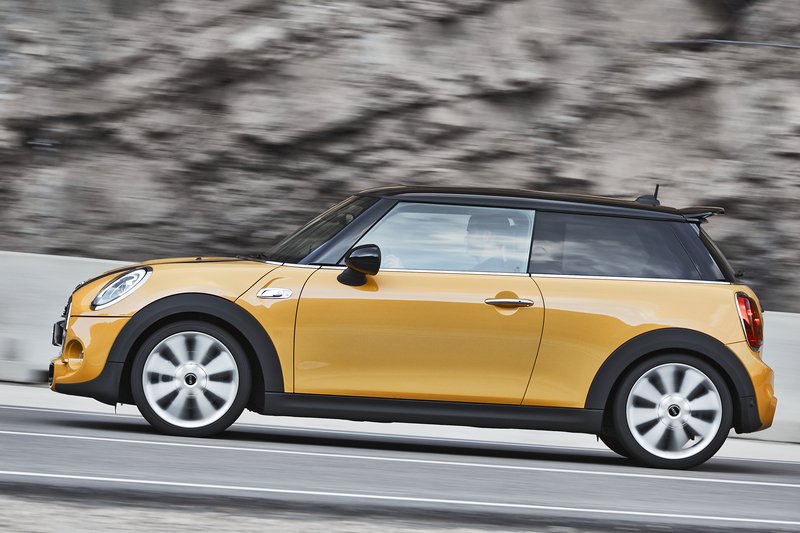 • Vehicle length increased by 98 millimetres, width by 44 millimetres, height by 7 millimetres, also longer wheelbase (+ 28 millimetres) and larger track width (front + 42 millimetres, rear + 34 millimetres) as compared to the predecessor model (differential figures relate to MINI Cooper); optimised spatial comfort on all four seats; new seat design with larger adjustment range at front and longer seat surface at rear (+ 23 millimetres); more shoulder room and foot space as well as increased comfort for rear passengers; luggage compartment volume increased by 51 litres to 211 litres; rear backrest foldable with 60 : 40 split; optional storage package including luggage compartment floor which can be locked into place at varying points. 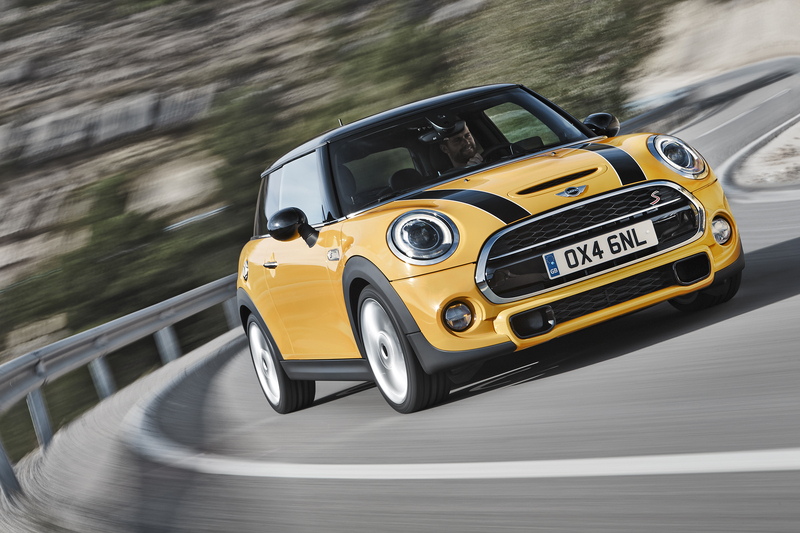 • New generation of engines with MINI TwinPower Turbo Technology; three model variants available as of market launch: MINI Cooper with 100 kW/136 bhp 3-cylinder engine, MINI Cooper S with 141 kW/192 bhp 4-cylinder petrol engine and MINI Cooper D with 3-cylinder diesel engine (85 kW/116 bhp); 6-speed manual transmission as standard, with optional 6-speed automatic transmission or sports automatic transmission, also newly developed; extensive MINIMALISM technology including automatic engine start/stop function likewise in conjunction with automatic transmission and optional GREEN mode; improved driving performance figures and reduced fuel consumption; biggest efficiency advance in the MINI Cooper with automatic transmission: acceleration from zero to 100 km/h 2.6 seconds faster, average fuel consumption 27 per cent lower; lowest fuel consumption and CO2 levels in the MINI Cooper D: 3.5 – 3.6 litres/100 km, 92 – 95 g/km (EU test cycle figures, dependent on tyre format selected). • Intensification of the typical MINI go-kart feeling with extensively revised suspension technology, reduced weight and increased rigidity; new single-joint spring strut axle with aluminium swivel bearing and also axle supports and wishbones made of high-strength steel; new multilink rear axle also in optimised lightweight construction and space-saving geometry; refined electromechanical power steering now with Servotronic as standard; Dynamic Stability Control (DSC) as standard including Dynamic Traction Control (DTC) and Electronic Differential Lock Control (EDLC), in the MINI Cooper S also including Performance Control; new spring and damper set-up with triple-path support bearings; Dynamic Damper Control optionally available for the first time in MINI; refined brake system, adapted to increased driving performance; light alloy wheels in 15-inch or 16-inch (MINI Cooper S) format as standard; light allow wheels optionally available up to 18 inches. • Variable vehicle set-up using the new Driving Modes option by means of rotary switch at the base of the gearshift or selector lever; in addition to the standard setting MID mode, the modes SPORT and GREEN can be activated; choice of mode influences the characteristic curve of the accelerator and steering, as well as the shift times of the automatic transmission and the Dynamic Damper Control where these features are fitted; GREEN mode in conjunction with automatic transmission enables coasting with decoupled drivetrain. 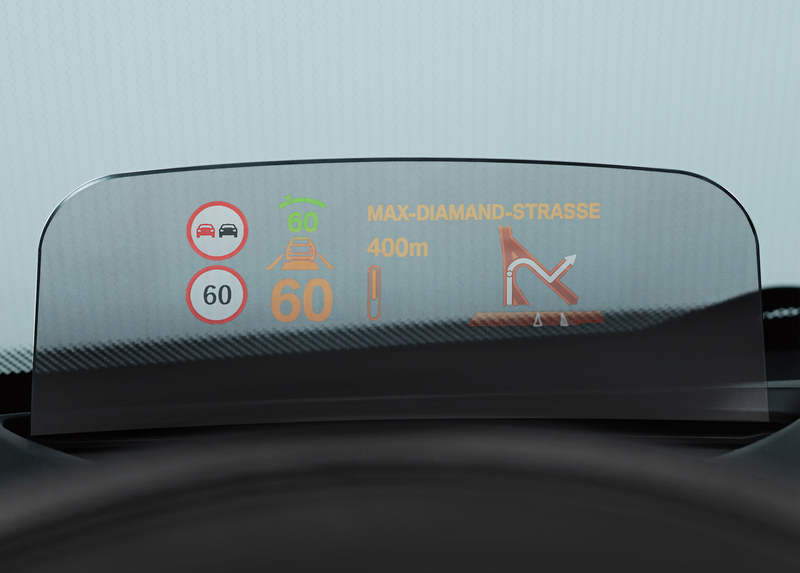 • New display and operating concept: instrument cluster on the steering column showing road speed and engine speed, colour display for vehicle status details and fuel level; central instrument with new display elements and coloured lighting configuration including LED ring for visual feedback in response to numerous operating functions, 4-line TFT display as standard or optional colour display up to 8.8 inches in size; operation of navigation, entertainment, telephone and vehicle functions using MINI Controller in centre console with the relevant feedback provided on the on-board computer; start/stop button at the centre of the toggle switch bar on the centre console, can be activated without key insertion; power window lifts in the door trim panels; operating panel for lights in the dashboard. • Body structure weight-optimised and crash-optimised; standard safety features including front and side airbags, side curtain airbags, 3-point automatic seat belts on all seats, with belt tensioners and belt force limiters at front, ISOFIX children’s seat mounting at rear, Run Flat Indicator and partially active engine compartment lid to optimise pedestrian protection; vehicle weight lower than in predecessor models and competitors in the segment in virtually all variants of the new MINI despite extended range of fittings; increased acoustic and vibrational comfort: optimised aerodynamic properties as appropriate to each specific model including active cooling air flaps, underbody trim panel and air ducting elements in the upper section of the C columns; best aerodynamic figures within the competitive environment: Cd value reduced to 0.28 (MINI Cooper, MINI Cooper D). 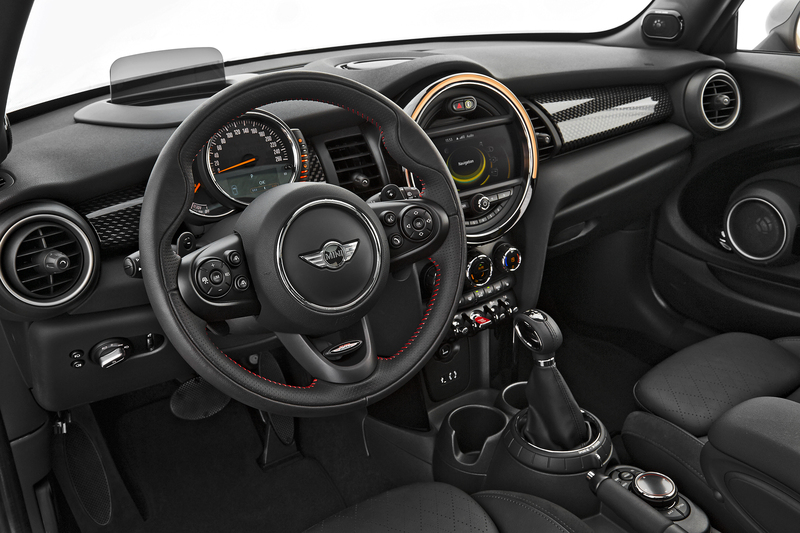 • New MINI with significantly extended range of innovative driver assistance systems: MINI Head-Up-Display, Driving Assistant including camera-based active cruise control, collision and pedestrian warning with initial brake function, high beam assistant and road sign detection, parking assistant; rear view camera. 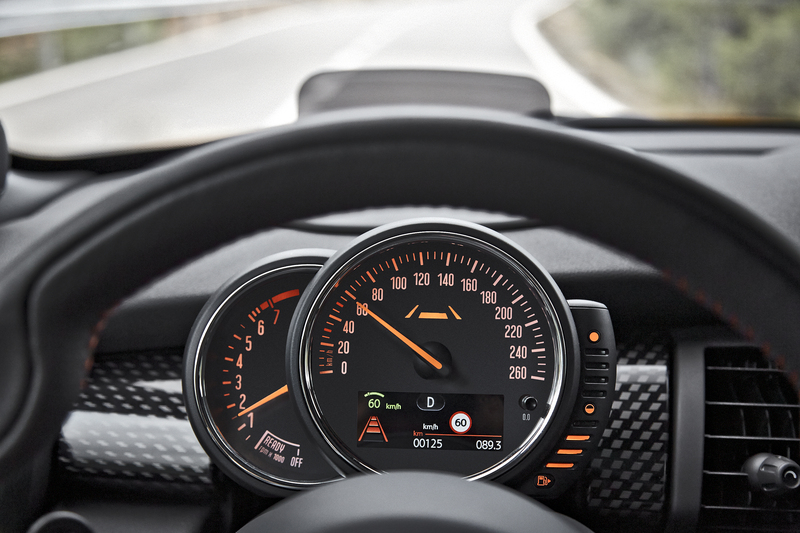 • Newly structured MINI Connected in-car infotainment program with additional functions; Emergency Call and MINI Teleservices available for use with permanently installed SIM card; unique range of functions and the opportunity for ongoing expansion due to apps allowing integration in the car via smartphone; increased driving fun with typical MINI functions such as Mission Control, Dynamic Music, Driving Excitement and MINIMALISM Analyser; new MINI Connected XL Journey Mate with Real Time Traffic Information; online connection also allows the use of social networks such as Facebook, Twitter, foursquare and Glympse, the reception of RSS newsfeeds and entertainment features such as AUPEO!, Stitcher, Deezer, Audible, Napster/Rhapsody and TuneIn. • Extensive standard fittings and high-end options to increase comfort, premium characteristics and individual flair; these include: rain sensor, Park Distance Control, Comfort Access, electrically operated glass roof, roof rails, electrically heated and folding exterior mirrors, interior and exterior mirrors with automatic anti-dazzle function, seat heating, 2-zone automatic air conditioning, rear spoiler in John Cooper Works design; large selection of decorative roof and exterior mirror options, bonnet stripes, seat upholsteries, interior surfaces and Colour Lines; MINI navigation system, MINI Radio Visual Boost, harman kardon hi-fi speaker system. CO2 emissions*: 133 – 136 g/km (122 – 125 g/km), exhaust emission standard: EU6. CO2 emissions*: 105 – 107 g/km (109 – 112 g/km). CO2 emissions*: 92 – 95 g/km (98 – 99 g/km), exhaust emission standard: EU6. 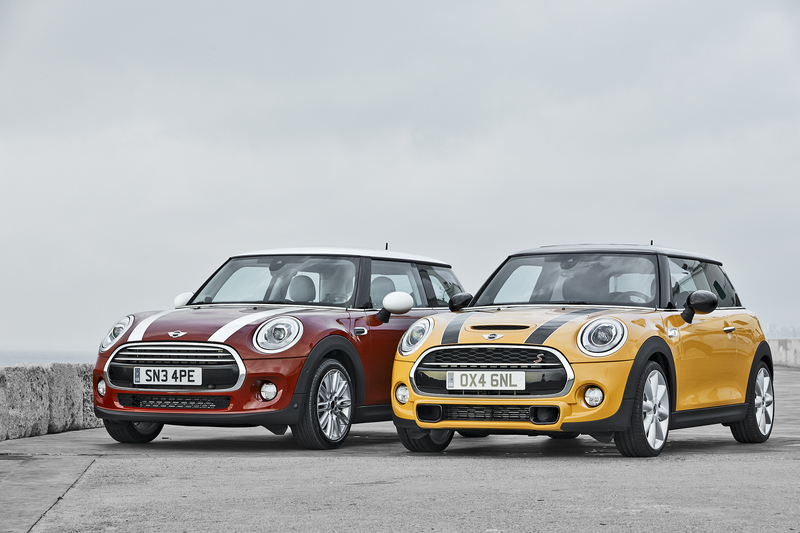 Categories: Car Of The Week, MINI | Tags: F56, MINI | Permalink.